Ready to turn over a new leaf? 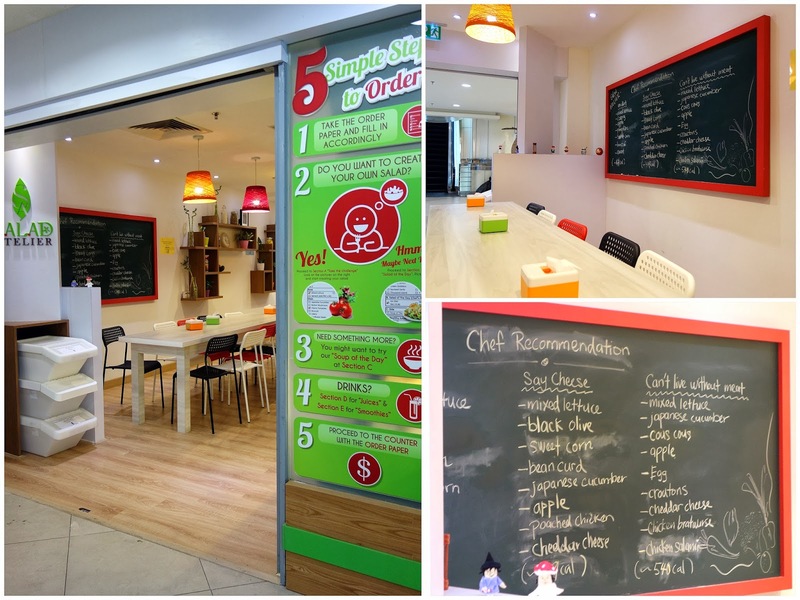 Healthy eating in the city can now be easier, thanks to the wholesome nutrition at Salad Atelier. This cheerfully colourful cafe caters for customisation: Patrons can choose a base that comprises the likes of fresh lettuce, radicchio & oak leaves, then pile on toppings that range from cucumber to carrots, Parmesan to Swiss cheese, beef salami to smoked salmon, mint yoghurt to sauteed garlic dressing. The selection is sweeping. 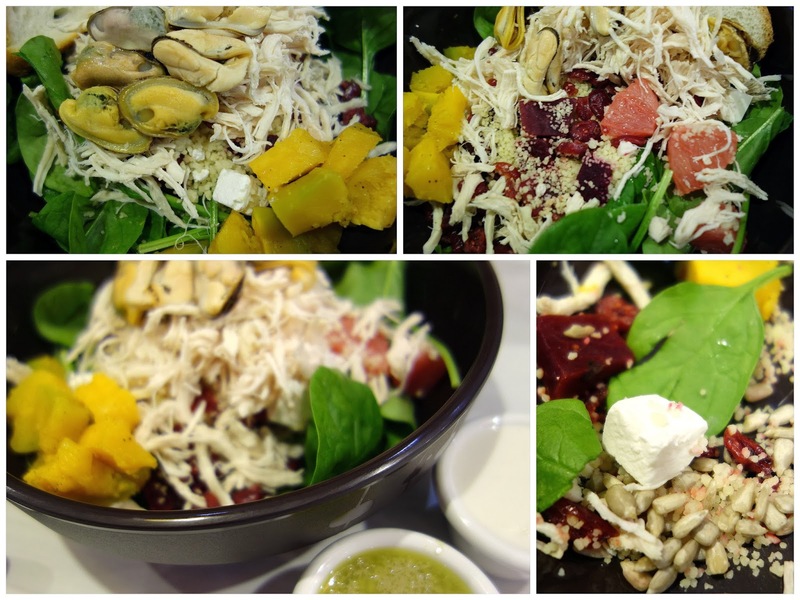 Our creation combined spinach with mussels, pumpkin, poached chicken, grapefruit, dried cranberries, sunflower seeds, beetroot, couscous, feta cheese, blue cheese & wasabi avocado dressing. It's a big bowl that's perfect for a meal that's filling but not TOO filling. Ours cost RM22.90, but salads with fewer components can start from as low as RM13.90. Everything inside tastes satisfactory. Also worth trying: Delicious smoothies, creamy & flavoursome. We like the avocado (RM10.90); others might opt for orange, strawberry or kiwi fruit. 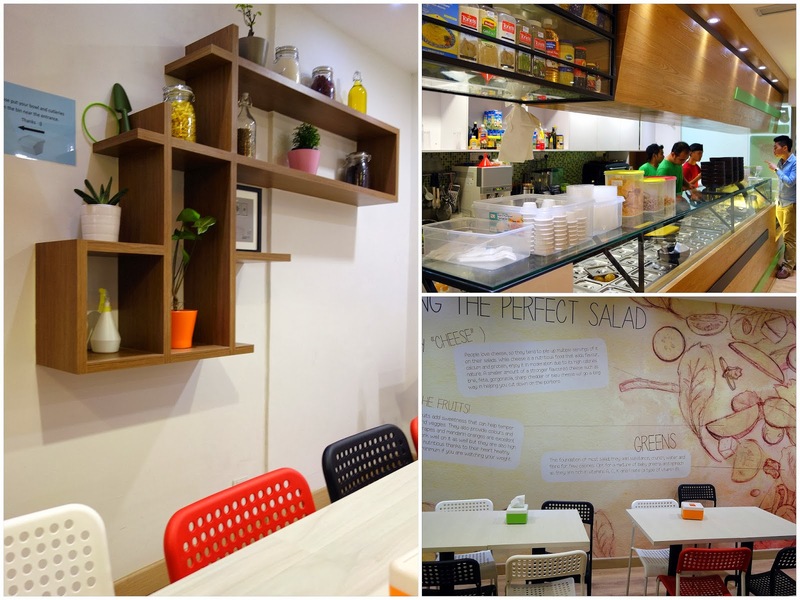 Salad Atelier's inspiration came partly from one of its founders' time spent in Singapore, where he saw salad bars flourish near offices. 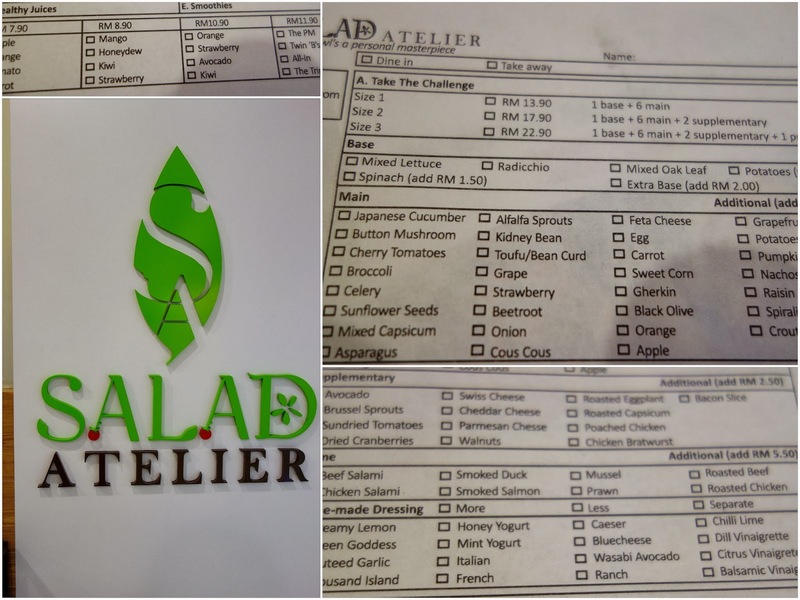 Salad Atelier is striving to fill that gap for KL; here's hoping we'll see this name show up in several more malls this year. Wow so healthy ah? Or that was just an appetizer? Hahahaha. Wonderful presentations, Sean, and I absolutely love smoothies! Looks great, mussels and all. Never been to this place ever since it opened a long long time ago. This place sounds like my perfect location for lunch. Wish there was one of those near my office!